The most hotly-anticipated children's book release of the year. 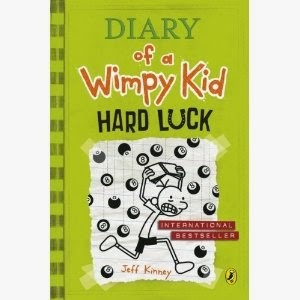 Eighth Book of the globally bestselling Diary of a Wimpy Kid series hits our shelves this November! Catch Greg Heffley's latest side-splitting and wimpy exploits in this brand new Diary of a Wimpy Kid book from Jeff Kinney. Title to be revealed soon! Jeff Kinney is an online game developer and designer and a #1 New York Times bestselling author. Jeff was named one of Time magazine's 100 Most Influential People in the World. He spent his childhood in the Washington, D.C., area and moved to New England in 1995. Jeff lives in southern Massachusetts with his wife and their two sons.